Adjusting your management style based on the personality of each team member can result in more engaged—and productive—employees. We all have distinctive work personalities. A good leader recognizes that—and doesn’t take a one-size-fits-all approach to management. 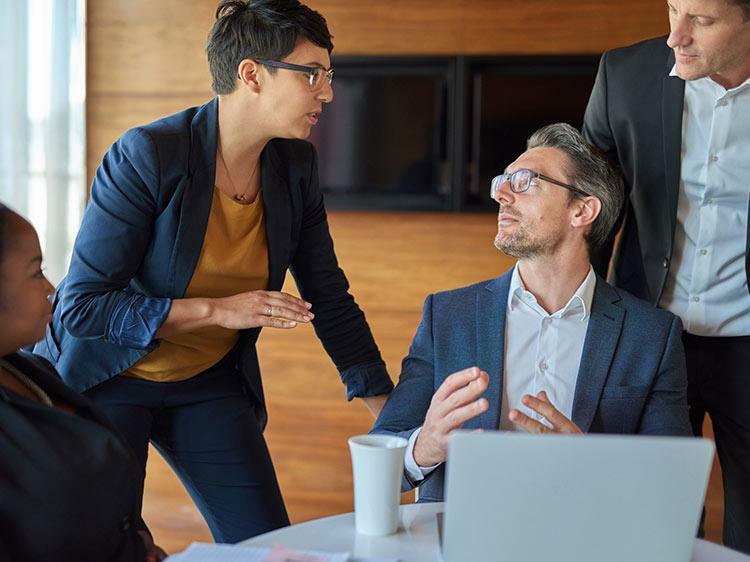 “It’s critical that a manager adjust his or her style based on each individual employee,” says Todd Davis, Salt Lake City–based chief people officer for FranklinCovey and author of Get Better: 15 Proven Practices to Build Effective Relationships at Work. Your employees will be happier and more productive as a result, says Shawna Clark, executive coach and founder of Minneapolis-based Clark Executive Coaching. Here’s how to tailor your style to four common types of employees you’re bound to run into. At first glance, this person is a dream employee. “Their strength is they don’t waste anyone’s time, they get to the point, and make it happen,” Davis says. But all business all the time may rub some colleagues the wrong way. Davis suggests sitting down with the employee and pointing that out. Say, “on the one hand, I couldn’t be more excited to have you be a part of the company because you’re so focused, but you’re alienating people along the way,” he says. Use that time to explain the importance of social capital, Clark suggests. Offer tips on how to become a bit more personable, such as by kicking off meetings with small talk before getting to the agenda. Clark says to advise this person to set goals that focus on relationship building, and check in regularly on their progress. Oftentimes, the deep-down issue with needy employees is a lack of confidence. You should take the time to explain processes thoroughly and make sure they grasp the assignment from the start, suggests Roy Cohen, a New York–based career coach and author of The Wall Street Professional’s Survival Guide. Start by asking yourself if you’re setting clear and manageable due dates. If you are, then it’s time to meet with the employee to figure out what the real problem is. Are they missing the necessary skills? Or are they distracted? Davis suggests advising the employee to set aside time at the end of day on Fridays or first thing Monday mornings to map out the top work priorities for the coming week. Then, have them block time in their calendar to complete the necessary tasks. That’ll ensure important tasks don’t get pushed aside. Have them give you weekly updates on their workload or specific projects. Keeping them on a regular schedule will also keep them on task and on time. Oftentimes, competitive personalities have a “scarcity mentality,” meaning if someone else gets recognition, they think there’s less for them, Davis says. Try to introduce an “abundant mindset” instead. Let them know there’s plenty to go around, and they shouldn’t feel slighted if a teammate gets recognized at an all-employee meeting. Finally, be sure to take the time to encourage him or her regularly, Cohen says. These types of employees need to be recognized for doing a good job. Ready for a new job? Browse open positions on Monster today.